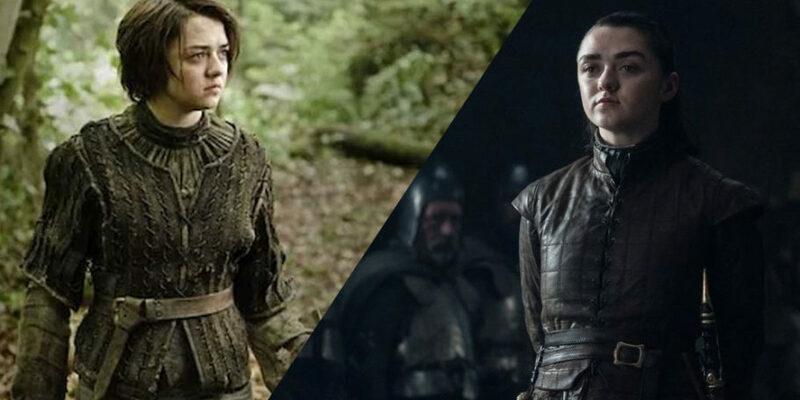 It’s safe to say Arya Stark has had a pretty rough run during her time on Game of Thrones. Throughout that she’s developed a reputation of being a bit of a badass too, as she crosses names off her list one by one. She’s claimed some major scalps as her path for vengeance leads to an ever-growing bodycount – and we can’t imagine season eight will be any different. Speaking to The Guardian, Williams opened up about the highlight among those kills and unsurprisingly Meryn Trant topped the list. For those that don’t remember, Trant beat Sansa and was a creep who targeted young girls. However Williams was more concerned about the on-set pizza at the time of filming. Which is completely fair enough. “I had turned 16 then,” she said. “So I had just started being able to work adult hours. Every time they went overtime, they ordered pizza. We’re talking a crew of 100 people, so this is a lot of pizza! “And I was wearing that little nightie, and going, ‘Is the pizza here?’ and they were going, ‘One more take and you can have pizza’. I’d be covered in blood, and there was blood all over the dagger in my hand, and then I’d be stomping outside for a piece of pizza, gnawing on it.